I sell a lot of Dungeons & Dragons but I also DM 5E Dungeons & Dragons as well. Running my style of game has informed what I carry in the store. I obviously carry everything from Wizards of the Coast, but I honestly find many of their products lacking. That's where third party publishers come into play. 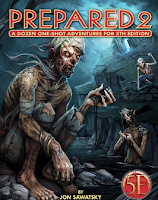 5E third party products were slow to get off the ground, due to confusion over the 5E open gaming license, and the vast majority have decided to forgo print and stick with PDFs online. 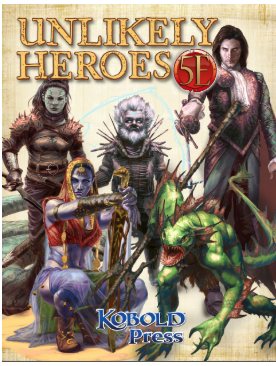 Kobold Press stands out as a high quality publisher with print products that can sit comfortably next to a Wizards of the Coast product. This equivalent level of quality leads to stronger sales than other publishers, especially the occasional 5E Kickstarter items we bring in. To understand where Kobold Press fits into your sales strategy, you need to look at the strengths and weaknesses of Wizards of the Coast (WOTC). WOTC is strong in rules, as in they have avoided rules glut. 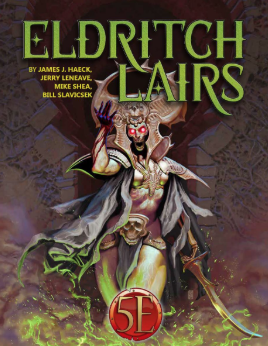 Past editions of D&D, every one, has seen the publishers reach exceed its grasp. Here's where I get a bit opinionated. I think every edition has gone too far in expanding their rules and they end up breaking the game. Unearthed Arcana, Skills & Powers, Book of Nine Swords, Essentials, all represent the point at which the game designers went too far and broke their games with dodgy content. The D&D 5th Edition designers have realized they need a slow roll on game mechanics or they'll otherwise kill their golden goose. 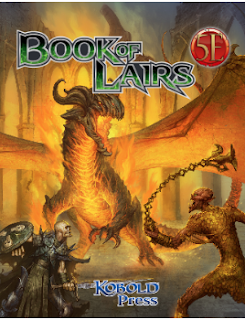 We're in year five of D&D 5th Edition, and it still feels new and fresh, with only the most minor, mostly balanced upgrades for characters and crazy stuff tested online and only slowly released in print, if it works. Therefore, nobody needs or wants a third party coming in and offering rulebooks of character offerings. Kobold has several books that do that, but only to add races and backgrounds to fit their Midgard Setting. Midgard Heroes, Unlikely Heroes and Southland Heroes add races and backgrounds that can fit in many D&D game, and they're balanced enough that many DMs consider them. 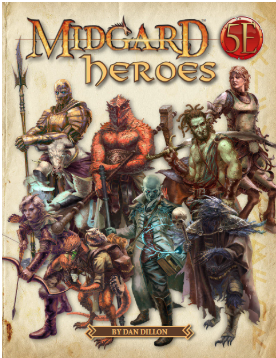 For example, the races in Midgard Heroes include: centaurs, dragonkin, gearforged, kobolds, ravenfolk, shadow fey, and trollkin. I recently ran a campaign with ravenfolk and trollkin and players enjoyed trying something different. They sell well enough to keep one on the shelf, although we sold over a dozen Midgard Heroes last year. Where Wizards of the Coast is weak, is adventures. This is not new for this company. Although they have some classic adventures that are worth seeking out in PDF nowadays, it wasn't unusual to have the back bench work on adventures, or in the case of 5E, outsource them completely. In fact, Kobold wrote Hoard of the Dragon Queen, an official 5E adventure from WOTC. I've found the hardcover adventure path approach to be a little bewildering, hard to grasp, and well, creatively lacking, and I'm honestly surprised D&D is so popular right now with such impenetrable offerings in the adventure department. Thankfully the starter box and the Internet with programs like Critical Role have come to the rescue. I've personally bought both Storm King's Thunder and Tomb of Annihilation, read them and made notes, only to put them down and run my own thing instead. I do enjoy Tales From the Yawning Portal, which often gets savaged in reviews, but there are gems in there, faithfully translated from previous editions. 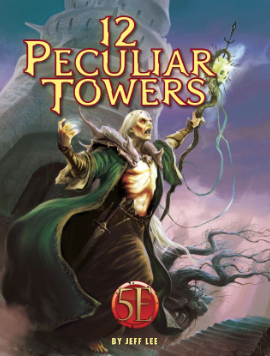 In any case, if you want to run a "module" adventure, rather than a full adventure path in the high fantasy world of Forgotten Realms (no thank you) you can grab something from Tales From The Yawning Portal, or you can look at what Kobold is offering. Kobold excels in the "roll your own" department, as in DMs who wish to create their own campaigns or run shorter adventures. 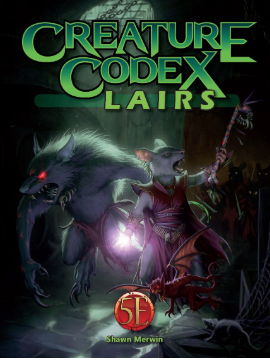 They're perfect for an evening of play, or if you're into sandbox style gaming, where it's your world with adventures mostly off the shelf with serial numbers scrubbed. You've got a few options in this department. First off are modules. 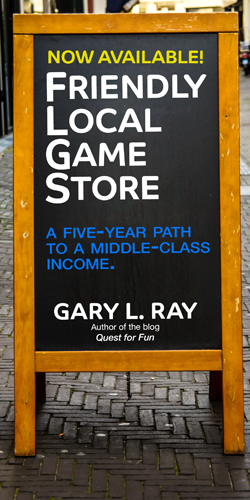 If you've been running a store for long enough, you know modules historically sell poorly, and these are no exception. I try to keep one of each Kobold adventure on the shelf, but modules are not their strengths. I've found them a little wonky with occasional unbalanced encounters, meaning you need to pay attention closely as a DM. My group had a bad case of the crabs that killed a party member in Sanctuary of Belches, for example. Where Kobold really excels are books of one shot adventures. There are two types of one shot books, those dependent on a monster book from Kobold and those that aren't. The independent books of one shots include Eldritch Lairs, Prepared, Prepared 2, and the new 12 Peculiar Towers. 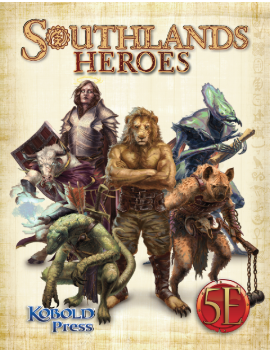 These sell very well as any DM can grab a mini adventure to insert in their campaign. The Prepared books are more outlines of adventures and often take a little bit of work, but it hasn't stopped them from selling well for us. Before I get into this other type of adventure books, let me say the other area where there's room for growth is monster books. 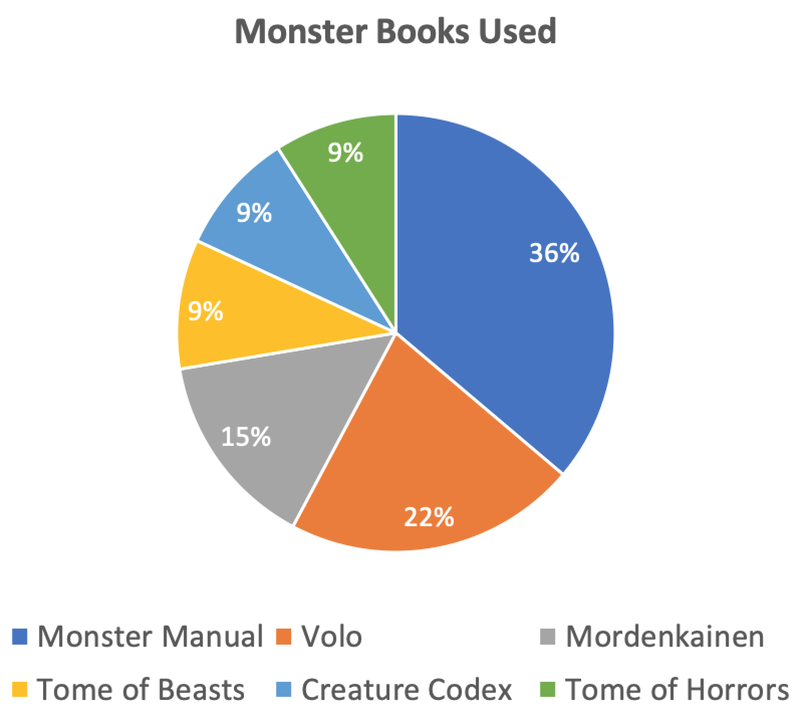 From WOTC, we have the Monster Manual, Volo, and Mordenkainen from which to choose monsters, and this honestly feels like a fairly complete set of options. However, you really can't have too many monster books, unlike player rulebooks. 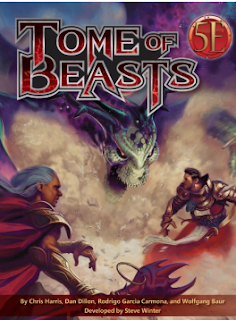 Kobold has two very good monster books, Tome of Beasts and Creature Codex. 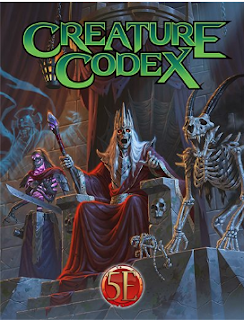 I've used each of these books for a while now, with Creature Codex being a more recent release. Adding different monsters is a great way to add flavor to a game, especially with jaded veteran players. These books sell fantastic, along with their cardboard pawns. Even better, there are adventure books that leverage monsters from these tomes that sell well, although they require the DM to own the monster book. These are The Book of Lairs, which requires Tome of Beasts, which I find to be the best adventure resource from Kobold and Creature Codex Lairs, which is fine, but hasn't sparked my interest as well as Lairs. The vast majority of my Kobold Press sales are these two hardcover monster books, their supporting adventure resources, and the stand alone one shot adventure resources. The best way to get this stuff is to order direct from Kobold Press, as distributors rarely have this stuff in stock. Minimum orders are small for free shipping, margins are very good, and they promptly ship.